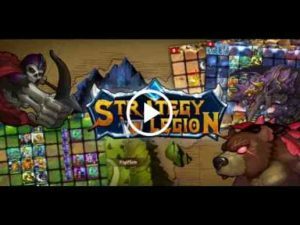 Strategy Legion is a Turn-Based Strategy RPG designed by WWG Indie game. It is a small size TBS game, only 10M, but don’t get deceived by its size, it has included all elements that a SRPG game is expected to have. Use range, skills, tactics to destroy your enemy. Through challenging more than 400 levels, to accumulate gems; upgrade and equip your army to beat enemy. It is a free strategy game with No Ads. If you are interested in turn-based strategy games,SLG games,Simulation games,4X games,strategy board games,you may like this game. Over 70 kinds of heroes can be hired. Create your own party with a combination of 24 unique knights. You can also enjoy it as a roguelike style RPG. Many original characters and legendary heroes. Think well about compatibility with enemies, organize an advantageous team. 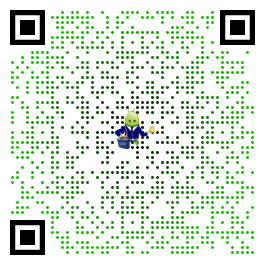 Easy operation, move and attack the character. Practice the strategy, move the character, aim for the annihilation of the enemy. Rogue-like turn-based strategy game fused with RPG. A rectangular battlefield will be the stage. Let’s challenge a full-scale strategy battle! Exciting battle, win over from the battlefield! Get powerful heros to nurture. Defeat other lords, conquer the entire continent. Offline strategy game. different to the online strategy game, you can play it without network. There are many training elements such as level, skill, weapons and equipment items etc.Foster the heroes and win the battle. Collect six heroes of legendary quality to unlock the gods’ weapon. The Strategy Legion can be said to be a hard combination of roguelike and turn-based strategy games. Like those old GBA and FC games,you need to spend a few weeks to fully understand the tactics and skills, and a few months to clear all stages. If you like turn-based strategy simulation RPG with medieval motif,you should absolutely GET. It is a sophisticated 2d strategy game, you can make a thoughtful choice to tackle tactical-focused battles and quests. It’s not easy at first, but it’s fun to learn various strategies while playing. My absolutely recommended game! I think that it is irresistible for those who like turn-based strategy games, roguelike games. It is an honest impression that “Strategy Legion – Offline RPG” is full of pleasant surprises. Strategy Legion – Offline RPG is a rpg strategy game that anyone can easily play. Strategy Legion – Offline RPG is a very well-formed game with plenty of content. A turn-based strategy RPG game that can enjoy an infinite combination in a novel quadrilateral battlefield. To win through to the end, you need strong strategy, teamwork, and weapons.Grow up and train heroes, lead the undefeated corps and challenge the battle! Easy, full-blown strategy RPG appeared! One of the best combat strategy games,I cannot win by force! Strategy is an important battle! A battle of 3 to 5 minutes is perfect for the mobile strategy games! An excellent SPRG indie game.An excellent pve strategy game. If you like the following games you surely like this game: turn-based games,war strategy games,character gathering games,RPG,SRPG,TRPG,War chess etc. Also, If you are interested in hex strategy games,RGP games like Advanced War,magic tower and Civilization,you may like this game. The new expansion pack is developing, will add new Map, new Units(musketeer, gem thief, necromancer …), Roguelike dungeons exploration and tower defense gameplay. Great time waster! Great grinder! Don’t know if y’all really played a tactics game but really do have to grind! Possibly only two things to make it even better. 1) A good story. 2) A promotion system… maybe there already is one. Finally I might suggest more commanders. Even with all that I still Find this a master piece!